What is Flynn giving Robert Mueller? How Much Does Michael Flynn Know? And what is he telling Robert Mueller? 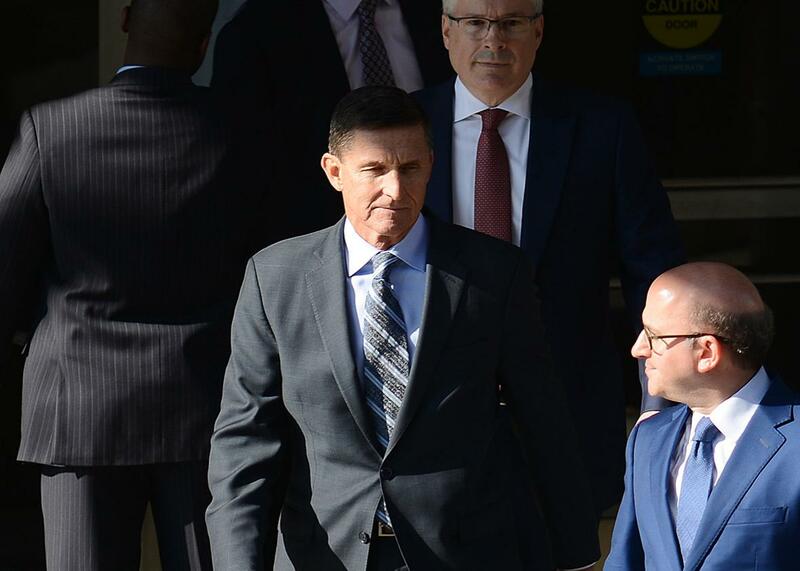 Last week, former National Security Adviser Michael Flynn pleaded guilty to one count of lying to the FBI about contacts he had with Russian officials during the presidential transition. As part of that plea agreement, Flynn is cooperating with Special Counsel Robert Mueller’s investigation into whether anyone affiliated with Donald Trump coordinated with Russia to interfere in the 2016 election. The limited documentation that was filed with Flynn’s plea deal has given rise to one big question: How much dirt does Flynn have? Flynn appears to have received relatively little in the way of prosecutorial protection, relative to what he may be giving up. Flynn’s plea agreement only covers false statement crimes. That includes his lies to the FBI—conversations Flynn had with the former Russian ambassador encouraging him not to respond to U.S. sanctions over election interference, and asking him to help torpedo a United Nations Security Council resolution on Israel. It does not include potential criminal liability for work Flynn and his son, Michael Flynn Jr., had reportedly undertaken on behalf of the Turkish government. While the statement of offense submitted by prosecutors does include the submission of a false Foreign Agents Registration Act registration in regard to that Turkish work, it does not appear to include any potential financial crimes that may have been committed by Flynn or his son through work at the Flynn Intel Group Inc. Notably, it also does not cover an alleged plot to kidnap a Turkish dissident cleric living in the United States that the Wall Street Journal last month reported was part of Mueller’s investigation. Flynn Jr. was never mentioned in his father’s deal, which explicitly states that “[n]o agreements, promises, understandings, or representations have been made by the parties or their counsel other than those contained in writing herein.” It would have been possible for Mueller to offer immunity to Flynn’s son as part of his deal—as the special prosecutor in the Clinton impeachment case did with Monica Lewinsky’s parents in exchange for the infamous blue dress—but there is no indication that he did. It’s possible Mueller didn’t actually have a case against Flynn on anything but the crimes that were charged—two lies and a misreported FARA form—and that he did not have any case against Flynn Jr. Or, it could mean that Mueller is using his prosecutorial discretion not to bring those charges, with no assurances that he won’t bring them in the future. If that’s the case, then Flynn is cooperating under a sort of implicit understanding: Each day Mueller doesn’t bring charges against Flynn Jr. is another day Flynn Jr. has not been charged. Such an arrangement would give Mueller continued leverage over how and when Flynn testifies, with Flynn’s son also hanging in the balance. Flynn’s guilty plea could suggest his son is not an incidental consideration. “My guilty plea and agreement to cooperate with the Special Counsel’s Office reflect a decision I made in the best interests of my family and of our country,” he told the court. So what is Flynn getting in return? If the Government determines that your client has provided such substantial assistance, this Office shall file a departure motion pursuant to Section 5Kl.1 of the Sentencing Guidelines, which would afford your client an opportunity to persuade the Court that your client should be sentenced to a lesser period of incarceration and/or fine than indicated by the Sentencing Guidelines. As O’Sullivan notes, that 5Kl.1 offer is a “very valuable consideration” and one that another cooperating witness, George Papadopoulos, has not yet publicly received as part of his own plea agreement with Mueller’s team. That could indicate Flynn has much more to offer than Papadopoulos does. As O’Sullivan also notes, though, that consideration only kicks in if Flynn “provided substantial assistance in the investigation or prosecution of another person who has committed an offense.” Offering this provision suggests Mueller still has his sights on higher targets. In the Trump campaign and the Trump White House, only a handful of people outranked Flynn himself—a list that would seem to include senior adviser Jared Kushner, Vice President Mike Pence, Attorney General Jeff Sessions, or the president himself. It’s not clear exactly what Flynn has, but Trump’s unusual degree of loyalty has invited speculation. Flynn has been spared the kind of public and private flaying that Trump has bestowed on ostensible allies like Attorney General Jeff Sessions. Even after he was forced to remove Flynn as national security adviser, Trump sounded almost forlorn, calling him a “good person.” “Gen. Flynn is a wonderful man,” Trump said, two days after firing him. “I think he has been treated very, very unfairly by the media, as I call it, the fake media in many cases. And I think it is really a sad thing that he was treated so badly.” The day after Flynn was removed from his job, Trump allegedly cleared the Oval Office of everyone but James Comey and told him, “I hope you can see your way clear to letting this go, to letting Flynn go.” (The president has publicly denied this—and denied that he cleared the room—despite contemporaneous notes from Comey.) Comey declined, and he was later let go.